Well! Here comes our Top 10 List of the most useful online communities today. The Freecycle Network™ has almost 7 million members across the globe. It's a network of people who are giving (& getting) stuff for free in their own towns. The mission of Freecycle Network is to build a worldwide gifting movement that reduces waste, saves precious resources & eases the burden on landfills. Impressive, really. Fiverr is the proof that brilliant ideas are the simple ones. It is the place for people to share things they are willing to do for $5. You'd be surprised how many great gigs you can find when it comes to social marketing, advertising, online promotion, writing, unusual and fun gifts, business, or just outright bizarre. And it just might inspire you to post a gig of your own and earn a quick $5. Check it out, you won't be sorry. Quora’s mission is to share and grow the world’s knowledge. A vast amount of the knowledge that would be valuable to many people is currently only available to a few — either locked in people’s heads, or only accessible to select groups. Quora aims to connect the people who have knowledge to the people who need it, to bring together people with different perspectives so they can understand each other better, and to empower everyone to share their knowledge for the benefit of the rest of the world. SwapaSkill is an online community where people swap skills, favors, and even items. Legal advice for home repairs, guitar lessons for webpage design, second hand car for home decoration, anything goes. 99designs is the best place on the internet to get professional, high quality and affordable graphic design services. It is based on the principle of crowdsourcing, or having an open contest for your project and letting designers compete to win your business. Live Mocha is an online platform for learning foreign languages, integrated with a global community of language learners. Currently it supports six popular languages – English, Spanish, French, Hindi, German, and Mandarin Chinese. CouchSurfing is an international network that connects travelers with locals in over 230 countries and territories around the world. This is a revolutionary concept in low-budget accommodation: members open the door of their home to accommodate a traveller, usually on the living room sofa. But more than this, people come together for cultural exchange, friendship, and learning experiences. Today, over a million people who might otherwise never meet are able to share hospitality and cultural understanding. Dig N Swap is a very functional website that provides an easy, prominent search on the front page, allowing for a quick preview. One page down you can find a categories cloud: search by type of clothing/accessory, brand, or size. Both the quantity and quality of clothes are good, though the amount of clothes available in high-end fashion brands, such as BCBGMAXAZRIA and Jimmy Choo, are more limited. Users manage their own shipping and arrange details with their fellow swappers. There are many book exchange websites, but PaperbackSwap is definitely the biggest one, and not limited only to paperbacks. Here you can trade hardbacks, audio books, textbooks, etc. Equally useful are the two sister sites, SwapaCD and SwapaDVD. The concept of ride-sharing aims to be a win-win solution, providing commuters with a cheaper alternative to taxis and private cars while allowing drivers to earn some money. Most of these platforms operate on the same concept: they match users, drivers and passengers, along the same route. If you are in the States, Uber offers the best coverage. 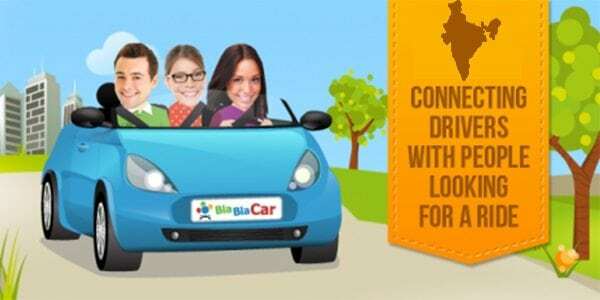 If you are in Europe, try BlaBlaCar. Wherever you are in the world, chances are there is a car sharing service available to you locally – just google it! Wow, PaperbackSwap – smart site! With the prices of books now, it makes perfect sense to do this. Thank you… I don’t know how I would have found this site if I didn’t stumble upon your site! Keep up the great job; very informative. Nice list! I’ll make sure to bookmark this page, it will come in handy. I’ve used Couch Surfing, and it works! The rest are all new to me, I’ll definitely give them a try! And you get an account on Twitter? Very useful and nice site! Love yedda ! Great site. Great info, thanks for mentioning swapstyle what a fantastic site! another great Q&A site like Yedda is askalo, a local Q&A community that allows everyone to discover new experiences about their city in a fun and enjoyable atmosphere. Ask any question about things to do in your city and receive unique and useful answers from local people. I like this Live Mocha concept, thanks for the tip!